The largest island of the Balearic attracts a somewhat different crowd to its smaller sisters. Ibiza is happening and Menorca is remote. Mallorca is somewhere in between the two, providing the right balance for the more sophisticated type of traveller. Beautiful nature and romantic places to stay abound, yet its still offers sophistication in the way of interesting towns such as Palma de Mallorca. 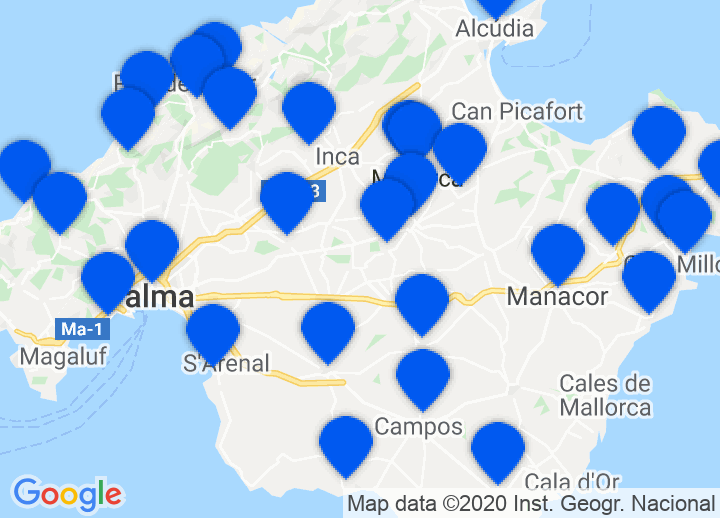 To find the best hotels in Majorca is not an easy task, but we have found them, the more authentic and special places to stay that are off the beaten track, nestled above hidden bays, historic parts of town and lush countryside, many of them with splendid sea views. From elegant boutique hotels on the coast over cosy country houses to luxury hotels in Palma you have the choice. Mallorca seems to be a sunny island. That's true, but there are a lot more things to see and do! On one hand, you can go to the beach and relax while reading an exciting book but on the other hand, the island offers a wide range of action activities! If you want to do sports, you can go on a biking tour or discover the surroundings on foot on the walking trails. Furthermore, Majorca offers riding excursions, cannoning and paragliding. At every corner you can find tennis courts, where you will able to power things up. Do you more like water sports? Let's practice sailing, jet sky or fly board! In addition, you can go on a boat tour and watch the dolphins. For a real shopping tour, you can visit the capital Palma, where a variety of shops and restaurants will wait for you. As a landmark, the cathedral La Seu decorates the city. Something for the whole family: The Palma Jump, a trampolin paradise for everyone! This area has a rich gastronomic heritage based, unsurprisingly on the Mediterranean way of doing things. Soups are very popular here, particularly clear soups, which may be from fish, stew or meat stock. Fish and seafood based dishes are also very important, of course, given they are in plentiful supply and of great quality along the coast. La caldereta de langosta (a lobster dish) is the most outstanding. Other typical dishes are rice with lobster and tuna with mayonnaise. In Majorca is also produced a local vine.